A report from Deloitte’s Global Manufacturing Industry group and the U.S. Council on Competitiveness indicates that access to talented workers capable of supporting innovation is the key factor driving global competitiveness at manufacturing companies — well ahead of “classic” factors typically associated with competitive manufacturing, such as labor, materials and energy. Further, difficulties accessing the right kind of talent are likely to contribute to the United States’ becoming less globally competitive in the next five years. The 2010 Global Manufacturing Competitiveness Index is based on the responses of more than 400 chief executive officers and senior manufacturing executives worldwide to a survey conducted in late 2009 and early 2010. 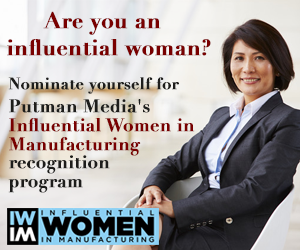 It also draws on select interviews with key manufacturing decision makers. “At its broadest level, the study confirms that the global competitive landscape for manufacturing is undergoing a transformational shift that will reshape the drivers of economic growth, high-value job creation, national prosperity and national security,” according to Deborah L. Wince-Smith, president and chief executive officer of the U.S. Council on Competitiveness. A key finding of the report was that talent-driven innovation ranked the most significant driver of competiveness in most markets. The top three drivers?talent-driven innovation, cost of labor and materials, energy cost and policies?remain relatively stable across all geographic regions, with the most notable differences being Mexico and South America, where ‘quality of physical infrastructure’ outranked talent. The report also identified the emergence of a new group of leaders in the manufacturing competitiveness index over the next five years. These include Mexico, Poland and Thailand — countries not always considered alongside longer-standing, up-and-comers like Brazil and Russia. Not unexpectedly, Asian giants like China, India and the Republic of Korea are projected to dominate the Index in five years, as they do now. Further, dominant manufacturing super powers of the late 20th century — the United States, Japan and Germany — are expected to become less competitive in five years. Other Western European nations will be similarly challenged, especially the Czech Republic, the Netherlands, Switzerland, the United Kingdom, Ireland, Italy and Belgium — a finding made more dramatic by the continuing upheaval of the Euro. “All Western European nations show an expected decline in rank over the next five years, which should be a cause for concern across the Continent,” says Hans Roehm, Global Managing Partner, DTT Global Manufacturing Industry Group. However, the study also shows the United States slipping in rank from fourth to fifth by 2015, the highest ranking country to show a decline — while China and India remain in first and second place. “This finding deserves careful consideration as the U.S. evaluates its global competitiveness position,” cautions Giffi. The report identified a clear geographical divergence in the perception of public policy support for competitiveness. Most respondents from China think that their government makes competitiveness easy compared to respondents in Europe and the United States, with 70% of them citing government support of science, technology and innovation as advantageous. The European respondents identified public policy support for infrastructure development (46.1%), science and technology and innovation (43.4%), and intellectual property protection (42.1%) as their advantage. Respondents in the Unites States cited intellectual property policies (75.5%) and technology policies (61.3%) as their competitive edge. Respondents in each region also identified differing policies that inhibit competitiveness. In China, these included immigration policies (32.1%) and healthcare (27.7%); in the United States, government intervention and ownership in companies (59.2%), corporate tax policies (53.1%), healthcare policies (51%), product liability laws (42.9%) and immigration policies (32.7%); and in Europe labor laws and regulations (42.1%), environment policies (36.8%) and energy policies (31.6%). Download the 2010 Global Manufacturing Competitiveness Index.